The District is offering a 75/25 cost share on soil samples done through Agro-One Soil Testing services. The average cost is only $25.00! A fund of $15,000 has been established to use towards soil samples on a first come basis until the pot of funds is exhausted. The District is also offering to gather the samples from the fields for the farmer/landowner as well as taking care of the shipping, handling and paperwork involved. A qualified Technician will review the results of the sample with the farmer/landowner if requested. 2. Download and complete an AEM Tier I worksheet. 3. 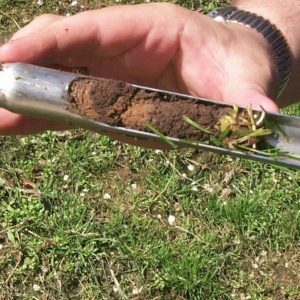 Call 315-946-7200 to schedule a visit so we can take a soil sample.